Authorities allow Arabs on road where drive-by shooting occurred earlier this month, ignoring residents' security concerns. The Havat Gilad road opened Monday morning to Arab traffic, after being closed since the terrorist attack in which Rabbi Raziel Shevach was murdered. Rabbi Shevach, 35, was murdered on January 9 in a shooting attack on the road near his hometown. He is survived by his wife and six children, the youngest of whom is ten months old. Protesting the road's reopening, Havat Gilad residents held their morning prayers on the road, blocking it. The protest's organizers promised to hold an additional protest later Monday morning. 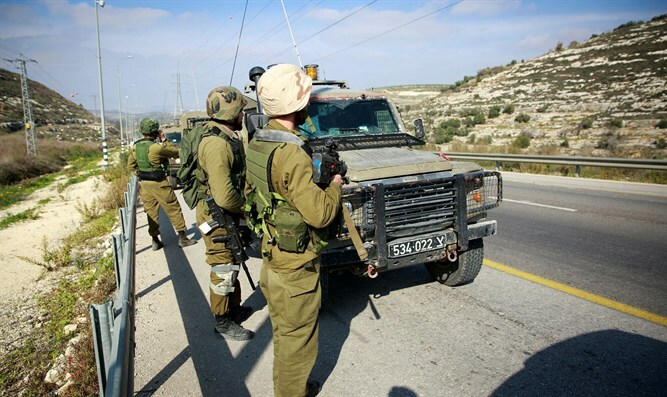 Residents reported that police and the IDF allowed Arab vehicles through despite a protest prayer held at the site by locals.